Wasl have redefined their ‘build to rent’ business model by developing the next generation of building typologies on their significant land bank across Dubai. 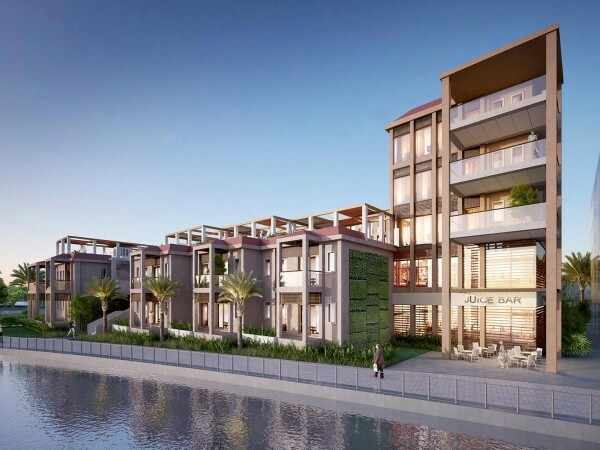 Currently, Wasl are constructing a series of residential buildings near the maritime Port & Dry Docks area of the city having previously retained AK Design to complete the design phase which is based on contemporary architectural styling and subsequently supervise the building phase. Consequently, the project has progressed into a more satisfying architectural massing which is aesthetically superior to the bland buildings which dominate the vicinity. Space programme considerations include full plot area basement car parking, ground floor retail inclusive of food and beverage units and a mix of 1 bed, 2 bed and 3 bed units located on the upper levels. The design stage involved wider development objectives such as redefining three buildings on separate plots into four structures on one substantial combined plot, each with a height profile of G+6. Part of the brief has been to contextualize the design with the surrounding maritime district. Focus has been given to apartment privacy whilst maintaining community integration. A number of building category innovations have been deployed on this project which includes the use of natural light in all maid’s quarters, kitchens and corridors. 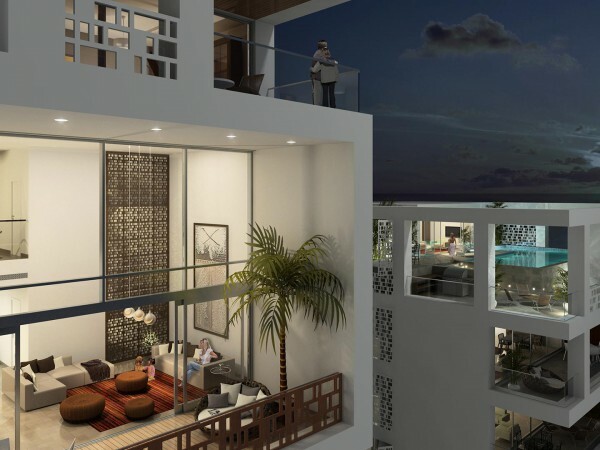 Other items are the planning in of ensuite bathrooms to all bedrooms, provision of fully compliant apartments for disabled use, common facilities such as gymnasium, swimming pool, children’s play area as well as the implementation of well considered sustainability and environmentally friendly strategies.